"Bloody Mary and the Bones of Henry the Eighth"
Research is the lifeblood of the historical novelist's art. Poring over the letters of our subjects and reading biographies of them and books about their times is a hugely engrossing part of our work. So engrossing, in fact, that I don't think of it anymore as "research." To me it's The Search. It's like panning for gold. I sit by the research riverside day after day sifting through mounds of information sand - solid facts that I need to ground my stories in the truth of the period, but not exactly eye-opening. It's the nuggets I search for. The details that gleam, the facets that spark my subject to flesh-and-blood life. I'd like to share with you a few such nuggets that I polished and used in my books. The first novel in my "Thornleigh" series is The Queen's Lady, which features Sir Thomas More, Henry VIII's chancellor. More famously went to the execution block rather than swear the oath that Henry was supreme head of the church in England, a title Henry created so he could divorce Catherine of Aragon and marry Anne Boleyn. The Nugget. My research revealed More that had two young wards, and I learned about the eye-opening situation of the Tudor Court of Wards. All orphans, male and female, with significant property became wards of the monarch who then sold the wardships to gentlemen who bid for these prizes. Why? Because the guardian got to pocket the rents and revenues of the ward's lands until the ward came of age, at which time the guardian often married the ward to one of his own children, keeping the wealth in the family. I couldn't resist. I created another ward for Sir Thomas More, Honor Larke, to be my novel's heroine. The Nugget. One of the biographies I read of Henry the Eighth reported that after Mary’s reign there was “whispering” that she had dug up the entombed remains of her royal father and burned him as a heretic. I got goose bumps. I can use that, I thought. And I did. The King's Daughter opens on a snowy night at Windsor Castle where, inside St. George’s Chapel, Mary orders the gravedigger to smash the tomb with his pickaxe. And then she burns her hated father's bones. The Queen's Captive opens with the harrowing moment when twenty-year-old Princess Elizabeth is arrested by her half-sister Queen Mary and sent as a prisoner to the Tower. Elizabeth believed she would be the next to be executed. But she survived, and at Mary's death four years later she came to the throne. Mary's brief reign was a disaster. She unleashed religious strife and plunged her realm into bankruptcy to finance the wars of her husband, Philip of Spain. Yet it is hard not to pity her. She adored Philip, who spent only enough time with her to perform his conjugal duty before returning to Spain. Mary, however, joyfully announced that she was pregnant. She passed the next months employing her gentlewomen to sew baby clothes, and sent ecstatic notices to every head of state about the imminent birth. The nugget. This is a sad one. Mary's time came to deliver . . . and passed. There was no baby. Hers was a phantom pregnancy. Court gossip raged as she remained holed up in her private rooms, and foreign ambassadors wrote home about the situation with increasing astonishment as Mary willed herself to believe she really was pregnant right through the tenth month. (Some modern scholars have attributed her malady to uterine cancer.) This humiliating event for Mary became a pivotal one in my novel. My new book, Blood Between Queens, features Elizabeth of England and her cousin Mary, Queen of Scots, locked in a deadly rivalry for the English crown. Mary was notorious. Accused of arranging the murder of her husband with the help of her lover, the Earl of Bothwell, she had been deposed by her enemies. She escaped them, and fled to England seeking Elizabeth's help. Instead Elizabeth kept Mary under house arrest and opened an inquiry into the allegations against her. The Nugget. The inquiry commissioners examined letters that Mary had written to Bothwell. Known as the "casket letters" they were lascivious in tone and they plotted murder. Mary claimed to her dying day that they were forged. Debate raged at the inquiry about the letters' authenticity, and it rages still. Did she or didn't she? 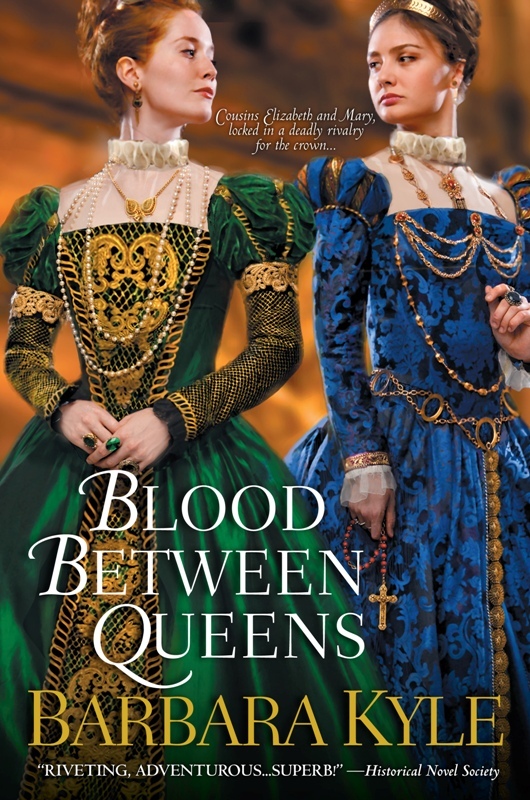 In Blood Between Queens this enticing mystery is a lynchpin of the story's plot. I hope you'll enjoy reading it as much as I enjoyed writing it. Watch for my review of Blood Between Queens...coming tomorrow! One paperback copy of Blood Between Queens to a winner in the U.S. or Canada. Please leave a comment and be sure to leave a way to contact me if you win (email address, Twitter handle, etc). Last day to enter is Wednesday, May 22 at 11:59pm CST. Good luck! 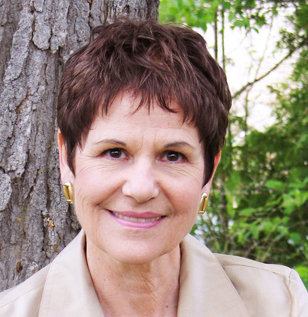 I've only read one of Barbara Kyle's books so far - The King's Daughter - and I enjoyed it immensely! Can't wait to read the others. I'm especially interested in Blood Between Queens, because the dynamic between Elizabeth I and Mary Queen of Scots has always fascinated me. Yay! So excited for this book! Thanks for the giveaway. I started reading it, got it from netgalley, but I didn't finish! Love the idea of the story and her other books sounds great too. Would love to own this one (since it's archived now)!! Thanks for the giveaway! I really want to read this book. I love reading about the Tudors so much but I especially love reading about Elizabeth I. I would love to read more about the casket letters and Mary, Queen of Scots. Thank you for the giveaway! I am looking forward to reading Barbara's newest of the Thornleigh series. This part of British history is so riveting. I look forward to reading this book. not eаsy to keeρ going. Just love books like this definitely need to add this to my to read pile.It is always great to find a new author to read.Happy Reading All !Also followed all your links.Have a great weekend! Thanks for visiting, Joelle, and for the follows. I'm following you back via GFC and email. love historical fiction so very excited about this one. Thank you so much for sharing!